Looking for free streaming videos? We can help you with that! Time for an introduction to a resource you might not be aware you have access to through our library! Did you know that the UCF Libraries provide access to a number of streaming video collections? The John C. Hitt library on main campus UCF subscribes to a few different databases UCF students, staff, and faculty can access free of charge. Often, this even includes full-length films! A while ago we told you about a great database called Natural Standard. Recently that database was re-branded and re-released as Natural Medicines. A new, better-fitting name notwithstanding, this is still a terrific database that everyone should keep bookmarked. Natural Medicines database provides clinically relevant, bottom-line-focused information and ratings on over 90,000 commercial dietary supplements, natural medicines, and complementary alternative and integrative therapies. If you ever wondered whether that gingko you’ve been taking for memory, or that St. John’s Wort you thought about trying are worth a trip to the drug or health store, try Natural Medicines Effectiveness Checker. It gives you a quick comparison of the effectiveness of different natural medicines for specific conditions. You can also check interaction between drugs and supplements. I personally used this database (as Natural Standard) quite frequently for its Pregnancy and Lactation Checker feature during both of my pregnancies. You can search for safety data on specific integrative therapies that have been studied for use during pregnancy and lactation. Now you don’t have to worry about whether goji berries are safe to consume during pregnancy (hint: probably not!). For those of our readers not affiliated with UCF COM, Natural Medicines does have a free consumer website you can check out here. The library has purchased access to a couple new resources: Geriatrics Care Online and LWW Health Library. Geriatrics Care Online contains books, teaching slides, clinical guidelines, and journals published by the American Geriatrics Society. Some of these resources include Geriatrics At Your Fingertips 2014 and the Geriatrics Review Syllabus, 8e. If users create a free account, they can create bookmarks of webpages, take notes within the content, email specific material links to a colleague, and save search results. Users can download images into PowerPoint presentations, link directly to a section of a chapter, and email links of chapters to colleagues that will be login free for 72 hours. On July 31, Elsevier is discontinuing their product MD Consult. As you are probably aware, many of the student textbooks provided by the library are available through MD Consult. Have no fear! Elsevier replaced MD Consult with something bigger and better: ClinicalKey. A comprehensive list of the content is located here. ClinicalKey is available now and located in the Database section of the library’s website. You may also notice direct links to the books and journals appearing in the E-Books and E-Journals section. The library will provide access to MD Consult until July 31. This provides users with the time they need to replace MD Consult course content links with ones from ClinicalKey. A list of durable URLS for books, book chapters, journals, etc., is located here in the Setup Resources section. If you need assistance, please contact the library and we can provide the links for you. Tips and tricks for ClinicalKey will be coming in the following weeks, so stay tuned! For access to ClinicalKey, please visit the Health Sciences Library website and search for Clinical Key in our Online Databases catalog. Talk about power in numbers! 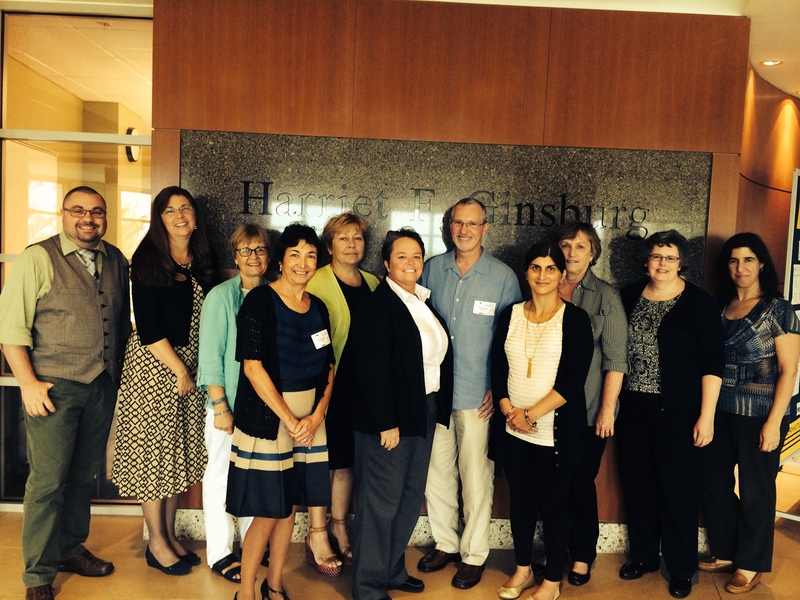 The directors of all major academic medical libraries in the state of Florida met at the COM this June 18-19 for their semi-annual meeting. The Florida Collaboration of Academic Libraries of Medicine (FCALM), currently co-chaired by our very own Nadine Dexter and Rose Bland from USF, is a dynamic group who work together to negotiate better prices on library electronic resources. The group has been meeting since 2010 and has collectively saved the state of Florida millions of dollars! This June the meeting attendees consisted of Nadine Dexter (UCF), Deedra Walton (UCF), Shalu Gillum (UCF), Rose Bland (USF), Cecilia Botero (UF), David Boilard (FIU), Luda Dolinsky (FIU), Kaye Robertson (Nova Southeastern), JoAnn Van Schaik (Miami), Kim Loper (Miami), and Martin Wood (FSU). In the next few weeks, UpToDate will upgrade its search results features so that it will be faster and easier to use. Watch the video to find out more! Natural Standard Database: Beer for Lactation, and other Myths – Busted! EDIT 3/26/15: Natural Standard is now called Natural Medicine! Same great resource, just a new name. Did you know that the health sciences library subscribes to some excellent, evidence-based databases about complementary and alternative medicine (CAM)? These CAM resources include information on dietary supplements and integrative therapies. Natural Standard in particular uses a grading system to indicate the level of high-quality scientific data available either for or against a particular therapy or medical condition. Did you also know that people have historically recommended beer for lactating women to increase their milk supply? As crazy as this sounds, this myth still persists today, despite a complete lack of scientific evidence supporting such treatment. In fact, search for “beer” in the Natural Standard database, and you will see several studies (here, here, here, AND here) that actually show that beer as a breast milk stimulant lacks sufficient evidence. By the way, there is also insufficient evidence in favor of beer as a treatment of diabetes, endometrial cancer, esophageal cancer, and osteoporosis, among other conditions! Natural Standard actually indicates that, “at this time, there is a lack of strong scientific evidence to support beer consumption for any clinical purpose” (sorry, kids). They give beer an Evidence Grade of “C” which means there is “unclear or conflicting scientific evidence” in favor of a particular therapy, based on current randomized controlled trials. This extensive database also features recipes, multidisciplinary continuing education, and patient handouts. To access Natural Standard and see what myths you can bust, check out the health sciences library’s Online Databases page and look under “Drug Information” to find this and other great databases. Happy myth busting! ReelDX 60-day Trial now available! 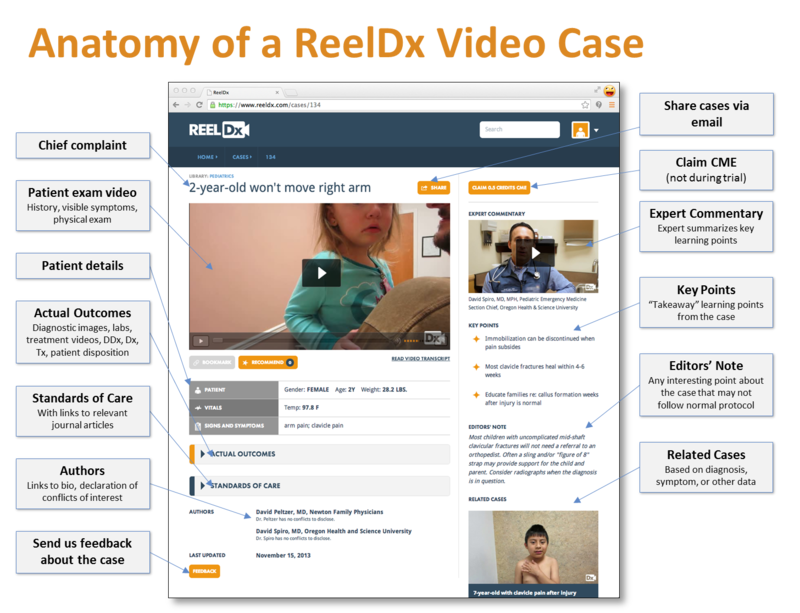 The Health Sciences Library is trialing ReelDx, a site with real patient video case studies. The purpose of ReelDx is to expand the time medical students have with patients. The videos put the student in a clinical type setting where they can observe the symptoms on the video, gather patient history, and think critically about the patient diagnosis. Currently, ReelDx only has pediatric videos and cases. They add new cases weekly, and the company plans to expand their medical specialties over time. Each case video is about 1 minute. Below the video is basic patient information, the actual outcome of the case, and the standards of care to use on the patient. Students can watch the video, diagnose the patient, and then review the information listed with the case. Some cases also include “Expert Commentary,” which summarize the key learning points of the case. Go to the library’s website. If off-campus, please log in with your library ID and Password. Acland’s presents Human Anatomy for your viewing pleasure! When you don’t have the option of dissecting a human body, Acland’s Video Atlas of Human Anatomy is the next best choice. It offers a three-dimensional look at human anatomy with 300 narrated videos of real cadavers that retain their color, texture, and mobility. The videos display in the reverse order of a dissection, showing the bones, then joints, muscles, and lastly, the blood, vessels and nerves. The videos also show moving muscles, tendons, and joints helping users truly visualize the structure of the human body. Please click on the video below for a sample. Skilled clinical anatomists dissected the cadavers. The black background of the videos accentuates the shape and definition of the body. The narration of each video precisely matches the moving images, and each body part is clearly labeled. At the end of each volume, users have the option of taking an exam of the content. All it requires is signing up for a free account. If you are not on the College of Medicine campus, please log in for off-campus access. Please note: the license for Acland’s Video Atlas of Human Anatomy is restricted to College of Medicine faculty, staff, and students. Click on the “Online Databases” link on the left hand side. Click on the “Acland’s Video Atlas of Human Anatomy” link. Choose a video and enjoy! Please contact the library if you have any questions.